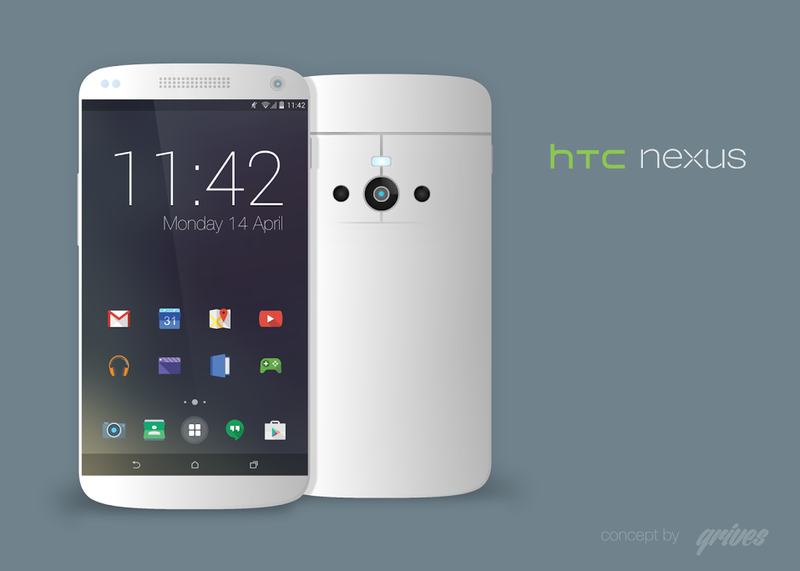 It looks like someone has been paying attention to the Android 4.5 Lollipop leaks and creating concepts based on it… Greg Ives has imagined the HTC Nexus 2014 concept shown below, a very nice piece of work based on a new Android. The version here should be Android 4.5, judging by the recent leaks. The handset’s back is very similar to the HTC One and One M8 and features a sci fi looking flash and a camera with what seem to be two Duo Camera style additions. We’ve got the trademark cut in the metal case, for the antenna and the device is gently rounded like the One. There’s a slight LG vibe at the front of the device and seeing how the sensor mania is evolving, I expect an impressive number of sensors or cameras upfront. Amazon is said to have 4 front cameras on its device, while Google’s Project Tango also brings a lot of cams to devices. Other things worth mentioning? The HTC Nexus 2014 has a very small bezel, virtual on screen buttons and has the On/Off button and volume buttons on the sides. What do you think of the UI and the render?